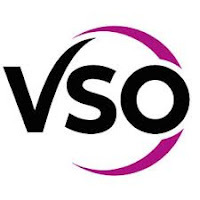 Overview: VSO is the world’s leading international development organisation that works through volunteers to fight poverty. Working in 24 countries around the world, our unique role in international development is to place committed volunteers with carefully selected organisations where their skills can have the greatest impact. As a VSO volunteer you’ll live and work in some of the world’s poorest communities. By sharing your unique skills and experience you’ll help generate new ideas and new ways of doing things, helping the communities you work in lift themselves out of poverty. We’re not about delivering quick fixes, but instead we focus on long-lasting, sustainable change, that will impact generations to come. Join us as a VSO volunteer and help us work towards our vision of a world without poverty. • A degree in Nutrition (specialty MN nutrition). • Experience and knowledge in Maternal, newborn and child nutrition. Qualifications (essential): Bachelor’s or Master’s degree in Policy related matters, development or a related subject. 5+ years of experience on leading strategic planning development process and managing clients in a deadline-driven professional services environment. Able to combine high-level strategy and analytical thinking with tactical creativity and flair.